Barcelona-inspired Boca Chica has opened its doors on Montague Road, in what once was the site of the 1877 Pasta and Wine Bar. The new bar centres around the tapas dining culture of Spain, particularly in the northeast, where alcohol-accompanying appetisers are taken rather seriously. A selection of dishes have been chosen for Boca’s menu, including smaller servings of pintxos, salads, cured meats and cheeses – as well as some more satiating plates of paella and mixed meats. To complement these snacks is an impressive list of beverages, which includes the Barcelonian-brewed Estrella Damm lager, a variety of local and Spanish wines, together with the crowd-pleasing favourite that is sangria. In keeping with the exotic European city, Boca Chica takes decor-inspiration from the unique and colourful cityscape, with a mosaic-like pattern and the colour red as its signature. The establishment brings an authentic taste of the Catalan culture, while it looks likely to be a success in an area that was previously (and admittedly) quite lacking. To visit Boca Chica, head to 561 Montague Road, Modbury (right next to Sfera’s Convention Centre). The bar is open Tuesday to Thursday, from 4pm to late, with the kitchen cooking from 5pm to 9:30pm. 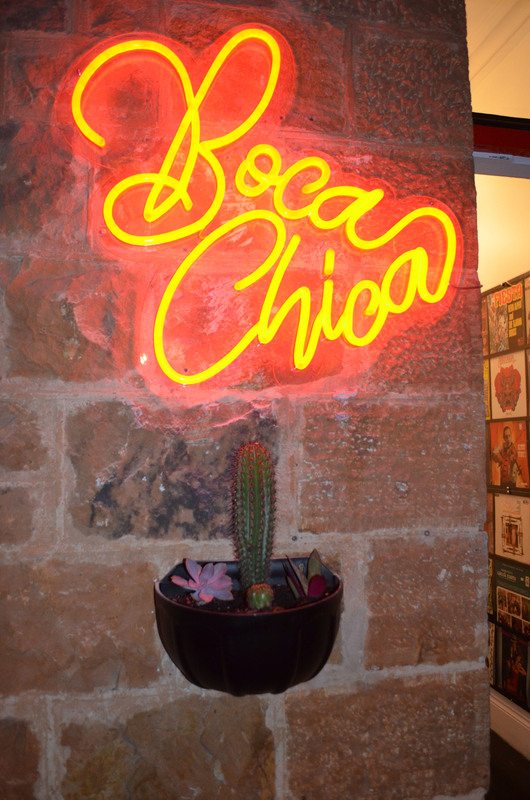 On Friday and Saturday, Boca Chica also serves lunch from 12 to 3, and dinner between 5pm and 9:30pm; while the bar opens from noon till late, with promises of evening entertainment.